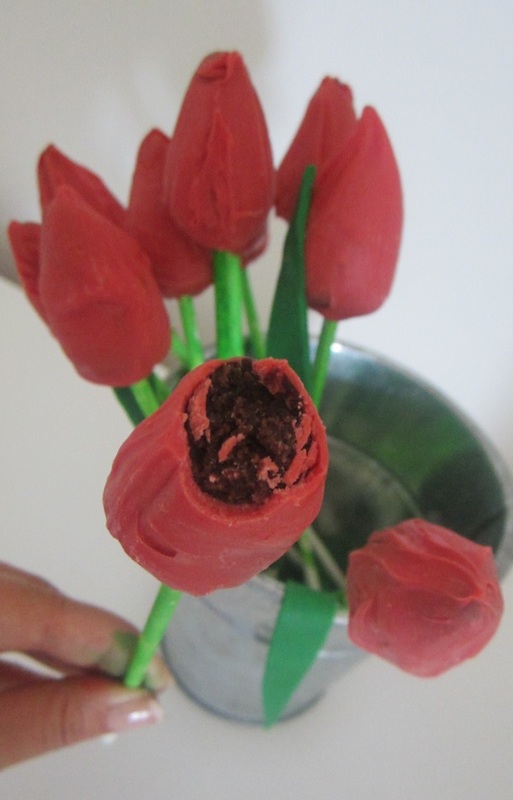 I planned to make rose cake pops but as I was mixing the candy melts, the color I got by mixing rose pink candy melts and red candy melt coloring made me change to tulips and these are super simple and quick to make. Mix all dry ingredients then add egg and milk and mix well. Stir the hot water in and mix until fully incorporated then pour into the cake tin and bake for 40 minutes. In a mixing bowl mix cream cheese, powdered sugar and milk until fully incorporated then add the cake crumbs and mix by hand until you got an even cake dough. 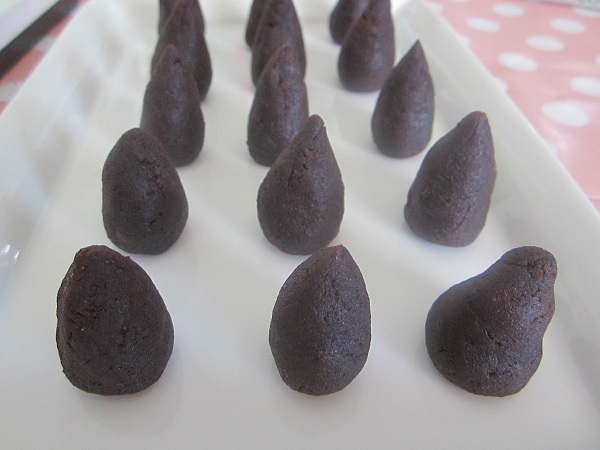 Take small portions, 12-14g and form into raindrop shape. 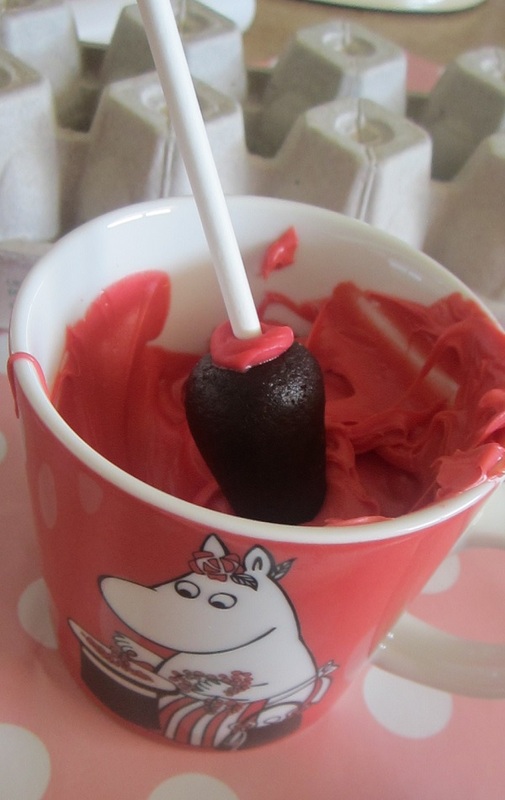 Place the shaped cakes into the refrigerator while you melt and color the candy melts and prepare the lollipop sticks. 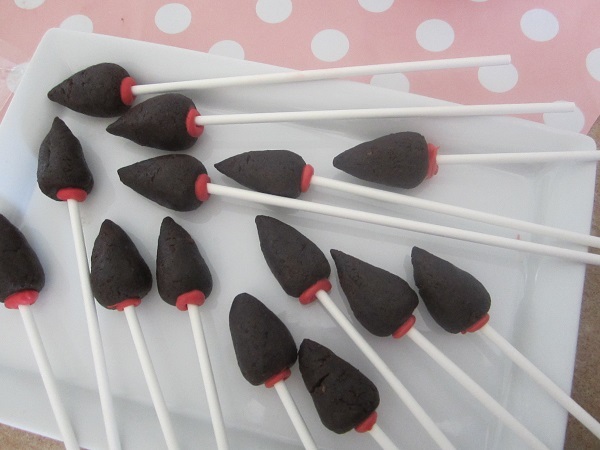 Take the cakes from the refrigerator, dip a lollipop stick in candy melt and insert in the cake gently pushing up to middle of the raindrop so that you can feel it sits firmly on the stick, lie the cake pops on their side until the base in dry. 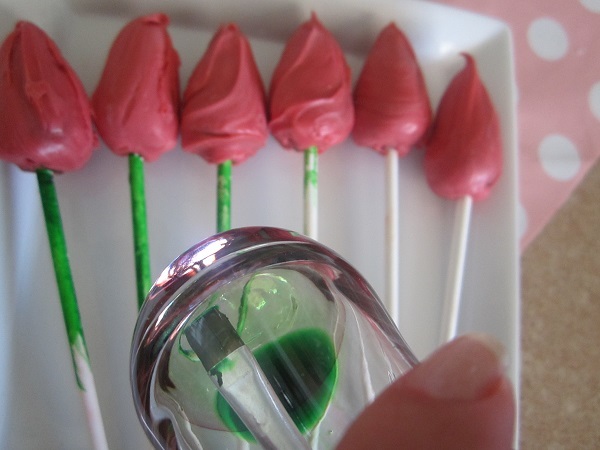 Mix a drop of green food coloring and water then use it to paint the lollipop sticks about half way through. 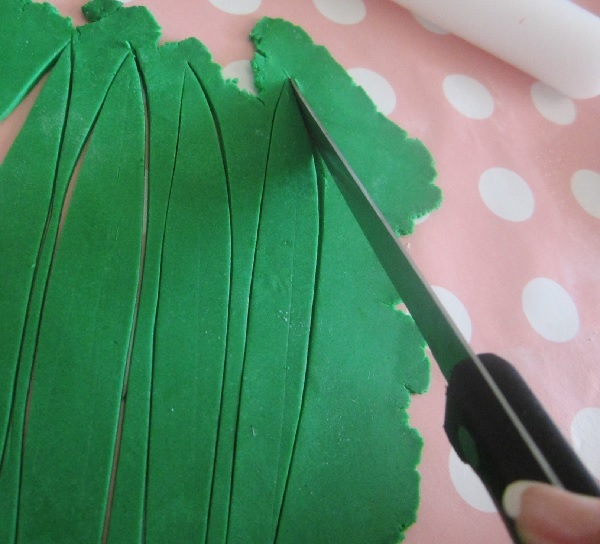 Take some green sugar paste or fondant, roll it out and using a knife cut out some long leaves. 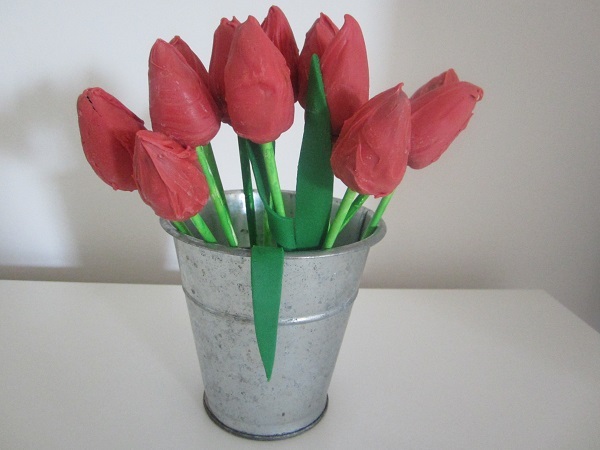 Use some leaves to attach in the cake pops and some to place around the “pot” .